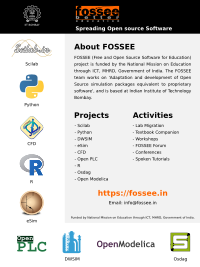 FOSSEE group promotes the use of various open source tools for academic and research purposes. The applicants should have deep understanding of their domain through coursework, projects and practical development knowledge. Thank you for your interest, but currently there are no job openings available. Please keep visiting our website for any job updates.